Last night as we sat around the fire visiting, my son, Heath, asked a very astute question. He asked: “Dad, why won’t one log burn? It takes several to make a fire.” This was a great question and I explained that fire needs a “critical mass” in order to burn well. Just one log sitting in a stove will not ignite or burn. 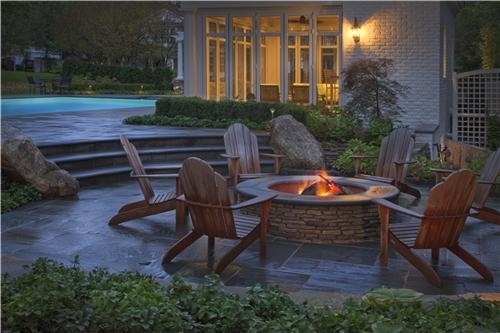 You must first establish a good draft in the chimney or fire pit and a good bed of red-hot embers to achieve a good burn. A good Flame means a good Fire – Much of the heat from wood is in the form of the gases we know as “smoke”. If you burn your stove improperly, lots of unburnt smoke will escape up the chimney and cause excess creosote (tar) formation on your chimney and also pollute the great outdoors. A proper fire BURNS this smoke. In general you should always see a flame on your fire. This is a simple gauge of whether you are burning properly. A smokey fire is a dirty and inefficient one! Leave some space between the wood – Musicians say “it’s not the notes we play that make great music, it’s the spaces between the notes”…same with a fire. Cris-Crossing your wood or placing odd-shaped pieces in the fire help the airflow through your stove or fireplace. Now think about all the qualities and requirements of a good fire I just included above. Do we not need all the same qualities when tending our leadership fire? It is nice to sit and watch the fire, watch the flames flicker but soon if you only watch and don’t feed your fire it dies down. You start to feel the chill back in the air. You must get up and put on another log on the fire. As leaders, we must have the situational awareness to make sure our organizational fire is stoked with the right people all burning together as a roaring learning organization. You need to feel like a roaring fire about getting a sale, about new members and about helping others. That is true leadership. You are cheating yourself if you are not feeding the fire. When you have a good fire going people feel that. They want to join and work with you. They feel the warmth, peace and security. Discipline is required so the flames within you and the others in your organization never die down to an ember. Be a pro, be a leader and keep the fire growing within yourself and those you lead. Do not let the fire burn down to coals that need a poke to get started again. Examine yourself. Be honest. Do you have your fire blazing everyday? You need to put logs on your fire to keep it going. Be possessed by your fire. Do the things required to succeed. Work at your situational awareness, work with your team; educate yourself, read each day. You can’t just sit back and watch the fire. It will go out. It has to be fed. One log by itself will not burn with any heat or intensity. Each day you need to put logs on your and your organization’s figurative fire. Stay focused on your goals. Stay focused on your organization’s goals. Be aware of how you can tend to the goals of those you lead. Think of how it feels to reach those goals. Keep your leadership fire burning bright! Tend your organization’s leadership fire! 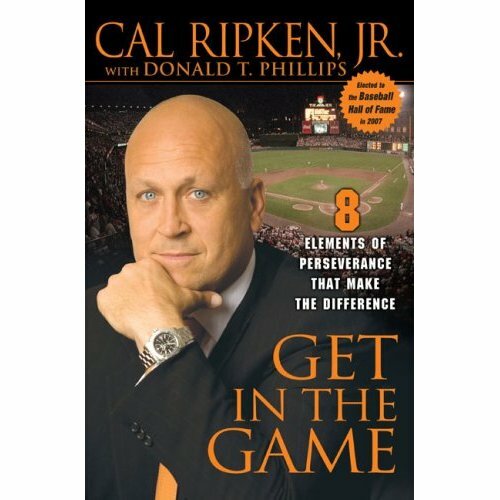 I just finished Cal Ripken, Jr.’s book, Get In The Game: Eight Elements of Perserverence That Make The Difference (2007). It was an incredible book on leadership and learning! There were so many takeaways, but the one that stood out the greatest was Ripken’s (2007) formula for learning – Awareness >; Curiosity >; Learning. This was an incredible formula that he described. When you are aware of something you get curious. This curiosity leads to learning. We must strive to be aware of those things we don’t know. More importantly, however, we need to be aware of those things around us we need to be curious of. In my case this awareness may be what is happening with the culture of my school, new ways to bridge the learning gap with students, or more effective ways to lead. I am always curious and spend time reading, collaborating with others, and studying to satisfy this curiosity with learning. I was particularly touched by the phrase that Ripken (2007) quoted from his father, Cal Ripken, Sr., who said: “Get in the game. Do the best you can. Try to make a contribution. LEARN FROM THE DAY. Apply it to tomorrow” (Ripken, 2007, p. 247). My favorite sentence there is, “Learn from the day!” We need to remember to take time and reflect each day on what we have learned. My challenge to you is to be AWARE, be CURIOUS, and LEARN FROM THE DAY! For the second week in a row I am going to reference a Bible verse. I received an email from one of our teachers this week thanking me for the leadership I have been providing. 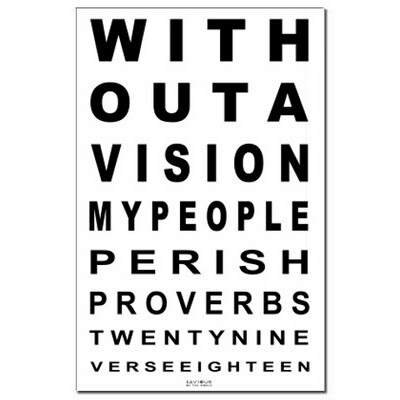 I really appreciated the email, but also appreciated the reminder of what it says in Proverbs 29:18: “where there is no vision, the people perish but blessed is he who keeps the law.” It was great to see this reference in his email. I love references to Proverbs because I read a chapter a day, as there are 31 chapters. Perfect for a daily reading. I learned this from reading Steven Scott’s The Richest Man Who Ever Lived: King Solomon’s Secrets To Success, Wealth, and Happiness. This reference was so appreciated because I believe having a vision is so important. More important than the vision is the action. You can plan and visualize all you want, but until you “do” nothing happens. We have a vision for a great school for our students and are working very hard to provide that. As we reach the point of being only about four weeks from the November 6th Presidential election I was reminded of why our system of government works. I just finished Bill O’Reilly’s (2012) new book Killing Kennedy: The End of Camelot which was delivered to my iPad Kindle App on the day it was released. Today during my study time I finished the book and right now I am calling it my top read of the year! That is a big deal considering I have read books like No Higher Honor: A Memoir of My Years in Washington by Condoleeza Rice (2011) and Steve Jobs (2012) by Walter Isaacson. Amongst all the great stuff O’Reilly (2012) included in this book, one part really moved me; particularly in a Presidential election year. 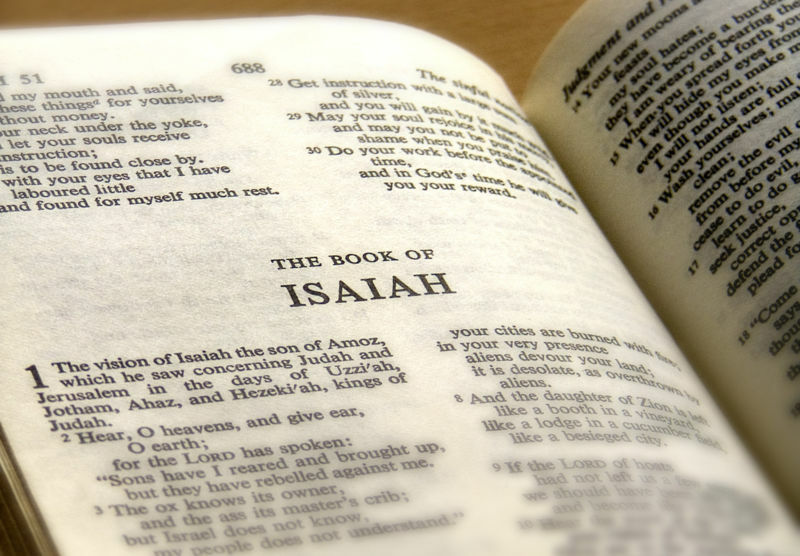 In the book, O’Reilly points to Lyndon B. Johnson’s (LBJ) favorite Bible verse: Isaiah 1:18. This verse exemplifies LBJ’s passion and abilities for building coalitions; or being “collaborative” as I would call it. I have written about collaboration in previous posts such as Putting Learning Organization Theory into Practice andPelican Leadership Lessons. Isaiah 1:18 says, “Come Now And Let Us Reason Together.” Isn’t that what democracy is supposed to be about? Really, isn’t that what any top performing organization is all about? I think it should be! John F. Kennedy and LBJ hated each other so LBJ had to work his political magic and coalitions to his advantage. Now, my thoughts on why our system works and we must tolerate, embrace, and try to work with a bipartisan system: LBJ was not really a champion of civil rights because of right and wrong. 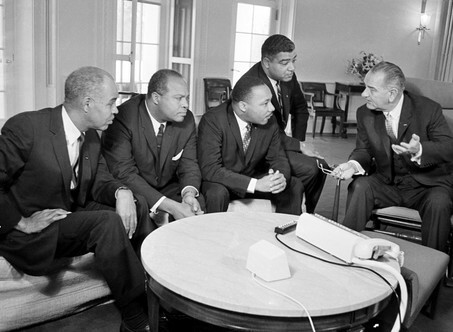 But, he became a major player of social change related to civil rights in our country for the better. As O’Reilly (2012) stated: “For Johnson civil rights has nothing to do with right or wrong. Taking this stand just makes good political sense.” So, what this tells me is that having issues be political can work. So what am I saying? I’m saying I believe in our imperfect system and believe we should strive, as LBJ did, to follow Isaiah 1:18 and “Come Now and Reason Together.” Make no mistake, my points here are not about being Republican or Democrat, but about using our form of government to collaborate and be a Learning Organization!